Never in my life I watched something so extraordinary. It was totally breath taking. I can assure everyone that this is a must watch movie for 2009. Release on December made it an epic movie of the year. I was at first thought that this is only a mere animation. Upon seeing the movie I can't believe my eyes. The graphic was superbly done. The whole 2:45 hours I sat still and watched the movie with disbelieve. You might wonder why I can't stop praising about this movie. If you haven't watch it, go now and watch it. For those who already know, you might understand why we go for third watch. Rated by me: 5*. I don't want to spoilt the story, so I will not talk about how the movie go about. 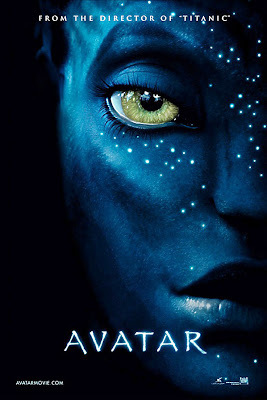 If you really want to spoil yourself with it storyline, read here at Wikipedia:Avatar. The soundtrack. I must say it is really out of this world. I can't even stop listening to it over and over again and never got bored of it. Post Scriptum: I wish our forests are like theirs.